Site VOC emissions contain some nasty surprises. In March 2018, the West Virginia Department of Environmental Protection produced a Fact Sheet/Preliminary Findings about the Rockwool site in Jefferson County. The Fact Sheet discloses the presence of six different known or suspected carcinogens in Rockwool's air pollution. These VOCs are also known as Hazardous Air Pollutants (HAPs). 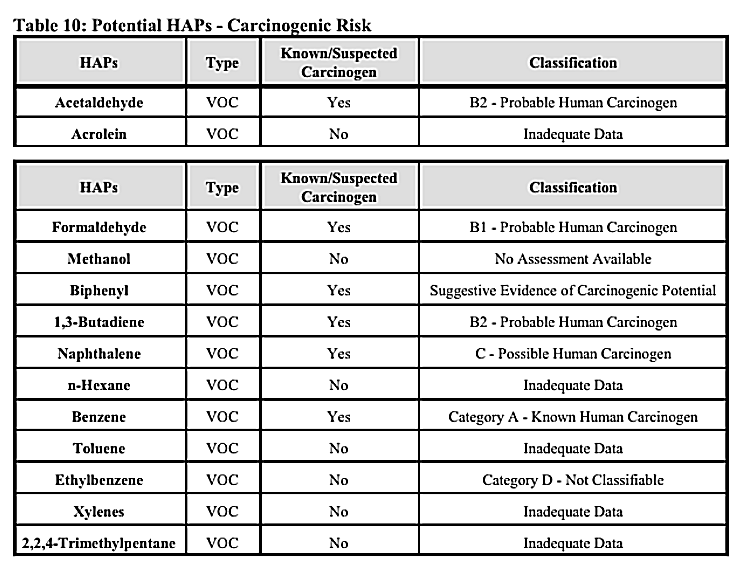 Beyond the known cancer-causing chemicals, WVDEP says "All HAPs have other non-carcinogenic chronic and acute effects." Again, neither Rockwool nor the WVDEP has modeled the impact of these chemicals on nearby schools.